Hand-lettering can be found everywhere you look. From T-shirt’s to mugs, from stationary to art. I have loved practicing my writing since I was young and since I discovered brush script, I’ve never loved it more. six lessons including: Brushes & Tools, Getting Started, Learn Your ABC's, Practicing Words, Quotes & Phrases, and Taking it a Step Further. All you really need is a paintbrush and some inexpensive watercolors, but we’ll discuss various markers, brush pens, paintbrushes and inks. I'll take you through brush strokes, each letter of the alphabet (including numbers), practicing words and phrases, writing out quotes, and finally making beautiful pieces of art with the techniques you’ve learned. 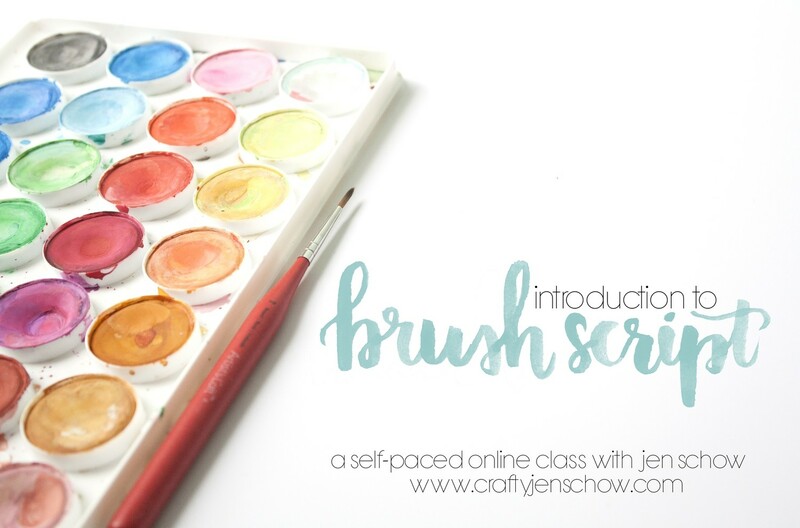 I hope you’ll join me for some hand-lettered fun! *Note: All items included in this purchase are egoods. No physical product will be sent.